CONFIGURATION CHOICES: Vaportight Light Emitting Diode (LED), Compact Fluorescent (CFL) and High Intensity Discharge (HID) fixtures are available in all styles of the VP, VX, VS, VW, VWB and VST series shown on the previous pages. Ballast housing option must be ordered at the same time as the fixture. Ballast assembly in not field installable. BALLAST HOUSING CONSTRUCTION: Extruded heavy wall aluminum finished to match fixture. Ribbed design allows cool operation and maximizes ballast life. GASKETS: Memory retentive, die-cut silicone for superior sealing and heat resistance. LAMP TYPES: Cree CXA 25 Series COB. Choices of 850, 1250, 1400, & 1800 lumen options. Kelvin options are 27, 35, & 40K. DRIVER: Osram OT programmable driver. Standard universal voltage design operates on 120-277 volts at 50/60Hz. Starting temperature down to -0°F (-18°C). Class II thermally protected. APPROVALS: Listed with Underwriter’s Laboratories for WET LOCATIONS. C-UL Listed for Canada. LAMP TYPES: Choice of 26W, 32W or 42W 4-Pin GX24Q style triple tube compact fluorescent. A 2700° Kelvin lamp is supplied. 3000°K, 3500°K and 4100°K color temperatures are available - consult factory. BALLAST: Compact fluorescent fixtures incorporate a microprocessor controlled electronic high power factor ballast. One ballast design operates all available wattages. Standard universal voltage design operates on 120-277 volts at 50/60Hz. Starting temperature down to 0°F (-18°C). Class P thermally protected. Less than 10% total harmonic distortion (THD). A 347 volt ballast is optional for Canadian applications. LAMP HOLDER: Vertical snap-fit thermoplastic base with universal design accepts standard 26W, 32W and 42W lamps with a GX24Q-3 or GX24Q-4 base. Socket includes a metal spring lamp retainer clip. LAMP TYPES: Choice of 50W & 70W in High Pressure Sodium (HPS), 39W, 50W, 70W for Pulse Start Metal Halide (PSMH). 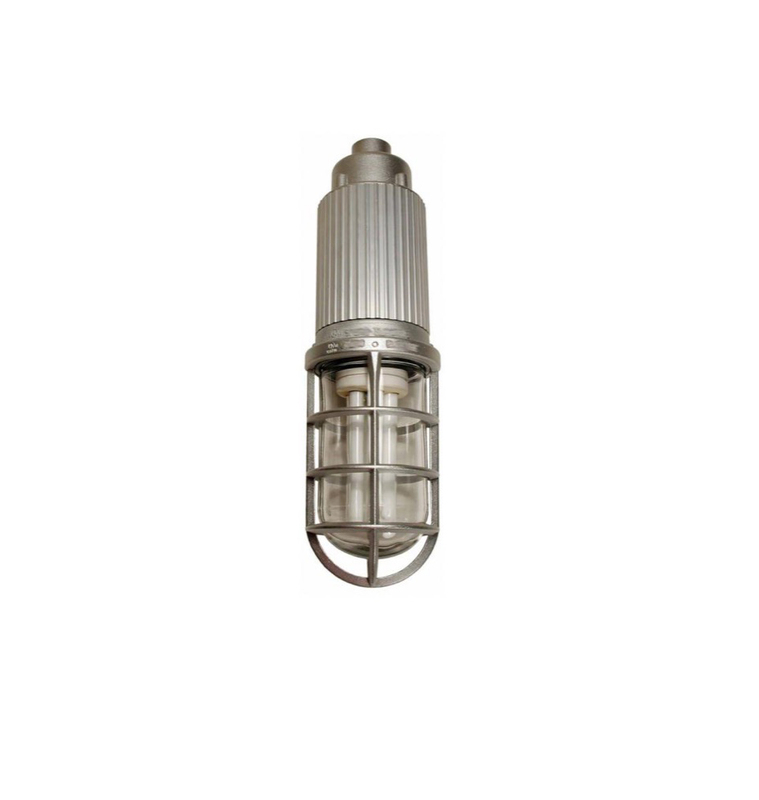 Pulse start metal halide fixtures are supplied with a 3200°K clear lamp. Clear lamp is supplied with high pressure sodium fixtures. BALLAST: Electronic HID Ballast for Universal Voltage.